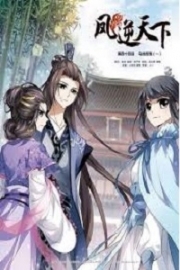 You’re reading novel Chaotic Sword God Chapter 1558 online at LightNovelFree.com. Please use the follow button to get notification about the latest chapter next time when you visit LightNovelFree.com. Use F11 button to read novel in full-screen(PC only). Drop by anytime you want to read free – fast – latest novel. It’s great if you could leave a comment, share your opinion about the new chapters, new novel with others on the internet. We’ll do our best to bring you the finest, latest novel everyday. Enjoy! Jian Chen hovered in the sky as he observed the Tian Yuan Continent after the battle. He saw were many Sainthood experts flying around below, hurrying about as they cleaned up the battlefield. Many of them carried corpses away to be buried. They were either filled with sorrow or were numb. The casualties had been far too many. Only one percent of all the people who had partic.i.p.ated in the battle managed to survive. Many people had lost their family and friends. There were not many complete corpses. Basically all of them were missing limbs or did not have a corpse at all. Their bodies had collapsed, turned into flesh and blood. The ruins of Mercenary City had become an extremely large, bottomless pit. There were densely-packed cracks around the pit and four that were particularly thick. They cut through the entire continent, dividing it into four pieces. Perhaps some time soon, the four great cracks would turn into four extremely great and surging rivers. Jian Chen gently sighed as he stared at the damaged continent. In the blink of an eye, the continent that he could not be more familiar had been reduced to this. It was quite a painful sight. Jian Chen then expanded his soul and enveloped the entire continent in a single moment. Although the battle had occurred among and around the ruins of Mercenary City, there had been many Saint Emperors and Origin realm experts who had fought. Not only did the terrifying shockwaves split the continent, but regions millions of kilometers away were drastically affected as well. The continent had experienced an unprecedented earthquake, causing many cities and mountain ranges to collapse. However, Jian Chen's face suddenly changed at this moment. He immediately leaped onto the Zi Ying Sword and shot off into the distance as a streak of violet light. The Zi Ying Sword had been damaged and was covered in cracks. The sword spirits were affected by the failure of the swords, but they were still immortal artifacts. Even if they were damaged, they could still be used. They would not truly break as long as they did not have to weather any more particularly intense battles. Their power had lessened. Jian Chen crossed several million kilometers on the Zi Ying Sword at an extreme speed. He arrived at a lone mountain in the end. It was called a lone mountain because it was the only mountain within the radius of a thousand meters. There was nothing in the radius of a thousand meters but desolate plains. A woman in white clothes lay on the mountain. Her appearance could not be considered as alluring, but she was still pretty. She lay on the ground with a pale face and with her eyes closed. There was a finger-sized hole between her eyes where blood flowed. This blood made her seem rather vicious and terrifying. The woman was Kai Ya, who had been kidnapped by an Origin realm experts from the World of Forsaken Saints. Beside Kai Ya, the Seven-colored Heaven-devouring Beast had already shrunk to the size of a fist. It frantically buzzed around her as if it was trying to wake her up. However, the Seven-colored Heaven-devouring Beast seemed to sense something at this moment. Its body swelled until it was three meters long. It stood before Kai Ya. Its fist-sized eyes were filled with caution as it gazed into the distance, but when it saw Jian Chen, the caution in its eyes immediately disappeared. It turned back to the size of a fist before buzzing around Jian Chen. It was extremely worried, as if it was asking Jian Chen to help Kai Ya. Jian Chen kneeled before Kai Ya. His face immediately became extremely sunken as he looked at the b.l.o.o.d.y hole between her eyes. "Kai Ya's not dead. It's very easy to cure the wounds on her body. The only problem is that her soul has sustained extremely heavy injuries. Just a strand of it remains and it's close to collapsing all together." Jian Chen quickly checked Kai Ya's condition. He became very stern. Kai Ya's situation was extremely dangerous. She had a foot planted in the jaws of death. Jian Chen then began to use his Radiant Saint Force origin energy to heal Kai Ya. Even if Kai Ya's body was even more injured, she could still be healed in an extremely short amount of time by a Cla.s.s 9 Radiant Saint Master. The wounds on her body were not particularly deep, so she recovered very quickly. The b.l.o.o.d.y hole between her eyes also vanished, only leaving behind some residual blood. The Seven-colored Heaven-devouring Beast fell silent as soon as Jian Chen began to heal her. It quietly lay to the side as it looked back and forth between Kai Ya and Jian Chen. Its eyes were filled with intelligence. It could not a.s.sume a human form, but it clearly was just as smart as a human. With a flip of his hand, Jian Chen removed a segment of Amethyst Spiritual Bamboo. He extracted the sap and pressed it between Kai Ya's eyes. As soon as the sap came in contact with her forehead, it silently seeped in, healing Kai Ya's soul as a cool presence. The wounds on Kai Ya's soul could not be healed by a Radiant Saint Master. The Amethyst Spiritual Bamboo was the only heavenly resource Jian Chen had that could deal with wounds to the soul. It had even reached the Immortal Tier and was a high quality resource. Jian Chen understood just how effective it was when healing soul wounds. However, Jian Chen wasn't confident that a single droplet of sap would heal Kai Ya's soul. This was because her soul was not just injured. If it were not for the sliver of her soul remaining, she would be dead. As expected, not only did Kai Ya fail to awaken after the single drop of sap, Jian Chen could even sense that the remaining sliver of Kai Ya's soul did not show any signs of strengthening. Jian Chen frowned and mumbled to himself in his mind, "Why would this happen? Even if a drop of Amethyst Spiritual Bamboo sap is not enough for her to recover, the effects are so strong that Kai Ya's soul should strengthen a little at the very least, right?" After a while of thought, Jian Chen took out a second segment of Amethyst Spiritual Bamboo and used it on Kai Ya. However, the outcome was the same. The sap seemed to be useless on Kai Ya. "Is Kai Ya dead? Even the Amethyst Spiritual Bamboo is not enough to save her?" Those thoughts crossed Jian Chen's mind. His heart felt rather heavy. 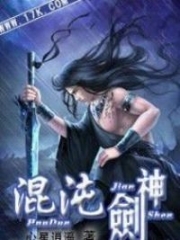 You're reading novel Chaotic Sword God Chapter 1558 online at LightNovelFree.com. You can use the follow function to bookmark your favorite novel ( Only for registered users ). If you find any errors ( broken links, can't load photos, etc.. ), Please let us know so we can fix it as soon as possible. And when you start a conversation or debate about a certain topic with other people, please do not offend them just because you don't like their opinions. You're reading Chaotic Sword God Chapter 1558. This novel has been translated by Updating. 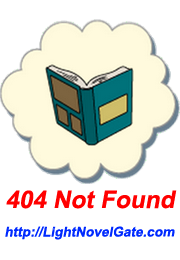 Author: Xin Xing Xiao Yao already has 1996 views. Current Time is Apr-23-2019 00:11:12 AM.